Get better control of your hydro electric gates in Los Angeles CA with parts from our authorized ParkerStore. Are you looking for hydraulic cylinders for gate actuation and governor control? You could choose a cylinder with traditional positioning technology like magnetostrictive sensors or laser gauges. But this would expose you to all kinds of limitations such as short strokes, temperature restrictions, and water ingression problems. Easy installation: Installing the equipment couldn’t be easier because the sensor uses a non-pressurized, non-contacting exterior mount. Reliable performance: The sensor includes information about its own condition in the data delivered to the controller, so you know when it is approaching the end of its service life and you don’t have to risk having your hydro electric gates in Los Angeles CA shut down due to a surprise sensor failure. Need More Components for Your Hydro Electric Gates in Los Angeles CA? While the sensors give you the control you need, you may still need other hydraulic components to create the power for operating your hydro electric gates in Los Angeles CA. Whether you need to order a factory component or commission a custom one, we can help. If you’re shopping for Intellinder cylinders, a ParkerStore like Bernell Hydraulics is the best place to start. Because of our relationship with Parker, we can provide guaranteed genuine Parker parts as well as expert advice about those parts. 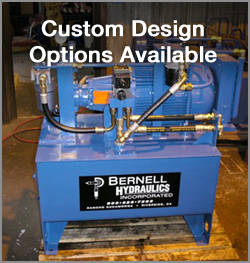 Even if you are shopping for a different brand, Bernell Hydraulics still makes an excellent choice of provider for parts for your hydro electric gates in Los Angeles CA. You can easily get your parts by visiting one of our stores, or by ordering by phone or online and having us deliver or ship the parts to you.